SEMA Coverage at Stancenation - WHY??? 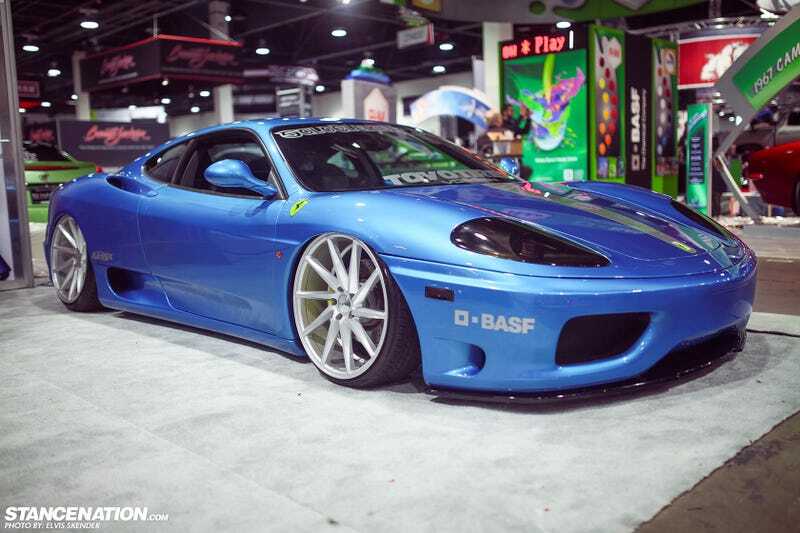 Yes, that is a stanced Ferrari 360. And by stanced I mean undriveable and far from a good racetrack setup. WHY? WHY? WHY? I quite like low cars, but mostly VIP Cars and Cruisers. Why on earth would someone ruin a performance car like that? Have some proper Hot Rod stance for balancing and check out the whole Stancenation Post.